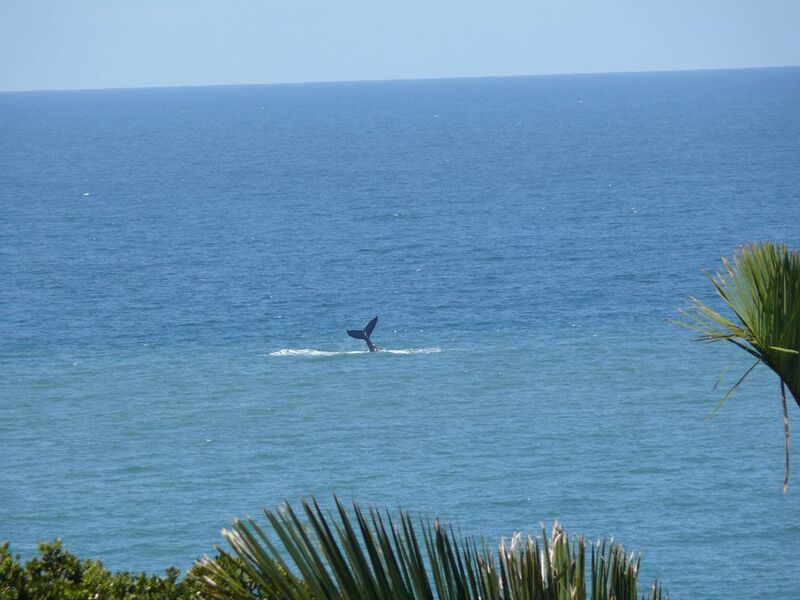 Watch Whales From The Balcony - Play Golf ALL Day. 2 Bedroom, 1 Bathroom, sleeps four comfortably with stunning sea views. Watch Whales from the balcony of this pristine top floor apartment situated in Southbroom on the Natal South Coast or simply base yourself here as you practice your golf on the world-renowned Southbroom golf course. This Stunning apartment is within walking distance of the renowned Southbroom Golf course clubhouse and a secluded and very private beach. You could also just explore the area by visiting the Oribi Gorge Nature Reserve, Riverbend Crocodile Farm, or the Beaver Creek Coffee Estate. If you are visiting in June/July DON T miss the Sardine run, and for all the gamblers, the Wild Coast Sun Casino is a short distance away. This is a 2 bedroom, 1 bathroom flat providing comfortable accommodation for 4 people. Situated on the top floor, with a large covered open balcony and sliding doors from the lounge and main front bedroom, with a stunning sea view. Only a two-minute walk from a secluded beach where you can watch the local fisherman fishing off the rocks or simply stroll along the beach as the sun sets. Guests have access to the entire home, on arrival, Linda, the apartment caretaker will provide keys to the apartment and remotes for the garage and electric gates. Whilst I am not available in person, I may be contacted at any time if assistance is required.